My group of Mellow Bakers have come to the end of their long journey through Jeffrey Hamelman’s book “Bread”. There is a new group starting up baking through Bread this April 2012, so if you missed out some breads, or wanted to start from scratch with some new friends, pop over to Mellow Bakers and find out what’s going on. For anyone who owns a copy and/or bakes from the wonderful ‘Bread‘ by Jeffrey Hamelman and is thinking about joining in with Mellow Bakers, it’s never too late to join in, we’re mellow and we love company. Mellow Baking means just that….whether you are beginning or want to get better at what you do, you can either bake along, making one, two or three breads a month, from Paul’s suggested list or you can bake from an earlier month or join in for a couple of months when you have some spare time. You can follow the recipes to a T, or use them to inspire your own bread baking development, there’s room for everyone to do their thing. Post about what you bake on Mellow Bakers and on your blog, if you have one, though that’s not essential. If the recipe has been published somewhere on the net, then you can bake from that version too. Jeffrey Hamelman has also kindly given us the corrected version of the Vermont Sourdough with increased wholegrain here, so you could always try that one to start with! Here is a link to Jeffrey Hamelman at work showing how to fold, shape and score and talking about bread in a series of short videos. To see what other Mellow Bakers have made of the same recipes just pop over to the Mellow Bakers site and have a good look around. Some of their blogs can be found on the Links page here. Here are the second year (2011-2012) of the project’s breads. There are links to the posts for the ones I made. If there’s no link it means I haven’t made the bread as yet but other Mellow Bakers will have made them so pop over to the site if you want to know more. For the breads and my posts for 2010 please click here. Roasted Hazelnut and Prune – The first bread I made from Bread, and I have no pictures of it. It was very delicious though! 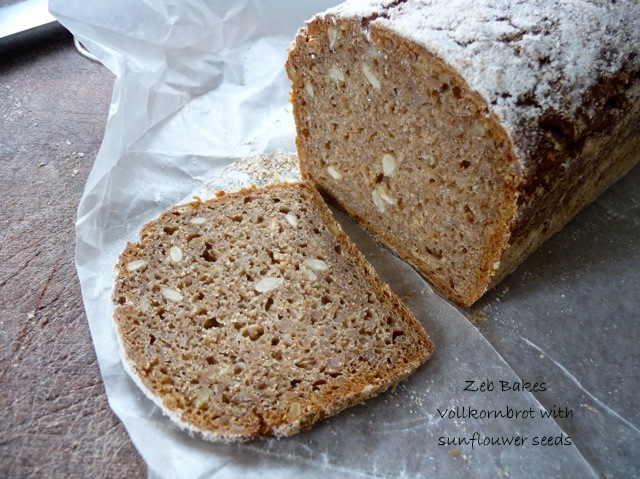 Two Oatmeal Bread choices – might yet make…. Two Focaccias – I’m wedded to Dan Lepard’s version of this so I didn’t make these. January 2012 The Last Month! Completely independently of this, Hamelman’s Bread arrived through the door last week! Is such a great idea to work through a book together. Really sad to have missed it… Loving the blog. Thanks! Although this response comes over a month past your original post, I’m happy to let you know that Mellow Bakers will be doing a second round of Hamelman’s BREAD precisely for folk who found out too far into our original group bake. We’ll be re-starting the process beginning in April 2012 and invite everyone wanting to jump in early into this new process to sign up and bake along. Hope we sorted this out on Twitter amd I will change the link above as Paul has moved things about on the forum since I wrote it. Thanks for lettimg me know.